Under the framework of The Networks of Mediterranean Youth Project – NET-MED Youth (2014-2018) and as part UNESCO’s and the EU’s commitment to engaging youth in safeguarding their cultural heritage and promoting inclusive cultural policies, UNESCO and partners launch a Call for Applications targeting youth organizations engaged in the protection of cultural heritage in the Arab region. Strengthen networking and mutualize resources between creative young entrepreneurs and youth organizations for the promotion of heritage as a fundamental prerequisite of democracy, a pillar of freedom of expression, and an essential element for the wellbeing of societies. 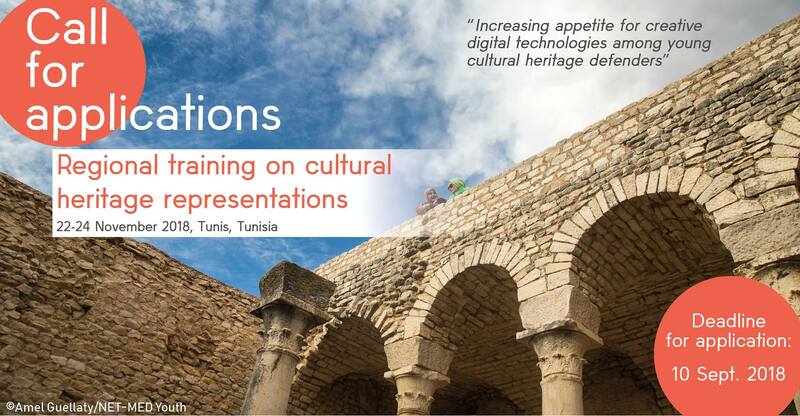 The first day will be dedicated to up-to-date theoretical and critical perspectives related to the values of new technologies to cultural heritage representation and promotion. It will also offer an overview on creative youth-led initiatives in this field. 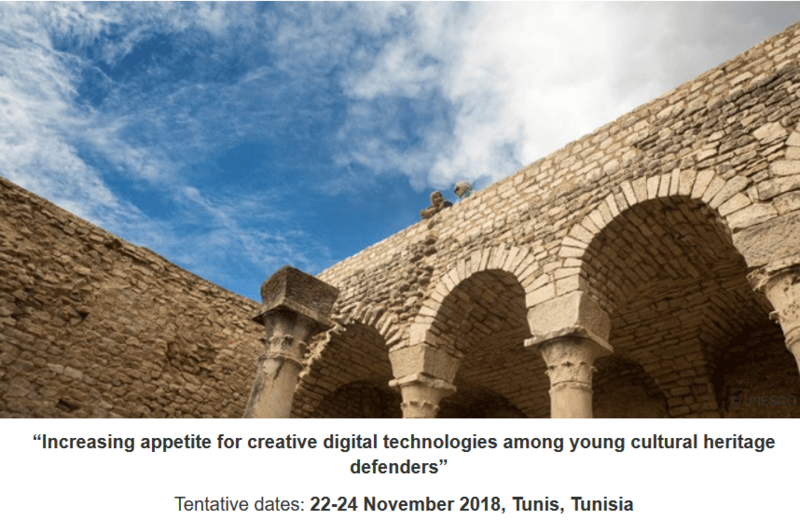 The second day will focus on the concrete transfer of knowledge as well as to practical experiments applying digital technologies in several areas related to cultural heritage (repair, education, protection, promotion, mediation, etc.). This will cover the following technologies: Augmented Reality, Mixed Reality, 3D Scanning and panorama, QR codes Gamification, Citizens-generated contents, etc. The second day should also serve as a coaching to participants with a view to upgrade their work and platforms. The workshop will benefit from the insights of renowned experts, professionals and researchers working on cultural heritage representation, youth mobilization and youth-led art mediation. It will also benefit from the expertise of the Virtual Experience Company, which has been developing 3D and Virtual Reality experiences in the cultural heritage sector during the past several years. The workshop will target 30 participants. Priority will be given to representatives of youth networks and organizations from southern Mediterranean countries and already committed to the documentation of cultural heritage. Experts, artists, researchers and culture professionals are also eligible. Half of the participants will be young women. Air-tickets, accommodation and meals will be covered by UNESCO. Interested candidates shall write to netmedyouth@unesco.org (link sends e-mail) before 10 September 2018 COB and join a detailed CV (outlining relevant prior experiences related to cultural heritage mediation and representation) as well as a cover letter. Previous articleBritish Council Alumni Awards 2018/2019 for Young Professionals who studied in the UK.